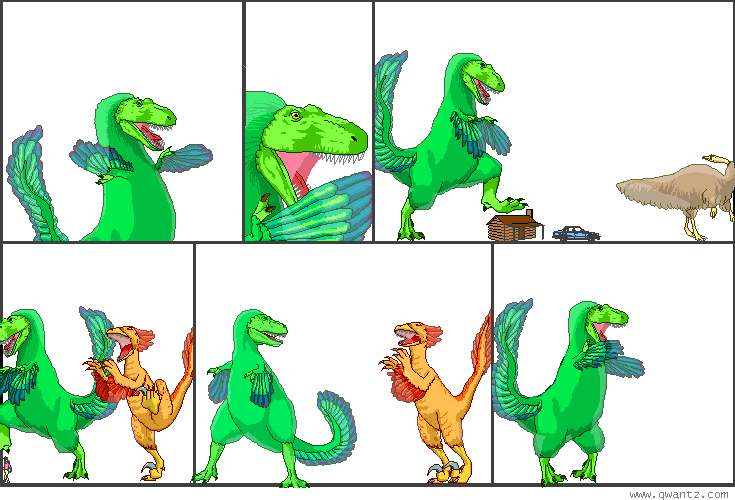 Dinosaur Comics - February 12th, 2007 - awesome fun times! February 12th, 2007: I never got so much email about a shirt design as I did yesterday with the women on the moon comic! I wasn't actually planning to make anything out of it, because I couldn't think of a design off the top of my head that would do it justice. But then I tried harder and remembered that the magic was in me all along and I came up with what you see to the right there! I am really excited about this shirt. The only difference from what T-Rex imagined is that it's on a shirt and not on a button. Sorry, button lovers! But a shirt is a button that doesn't fall off, unless you're Patrick Stewart.